There is literally not enough time in the day for moms to get everything done. No matter how hard you try, how well you schedule, how hard you work, or how little you sleep your day will never be totally done. There will always be something you want to finish, and something you want start, and something you probably forgot to do. We are totally cool with that because we get it! And, we used to be sooooo much more organized/fit/healthy/well-rested before the kid came along too. The struggle to find time for certain things is a real one and, as parents, we understand the challenge, but we also know that some things just have to get done. Especially when it comes to your own health and wellness. 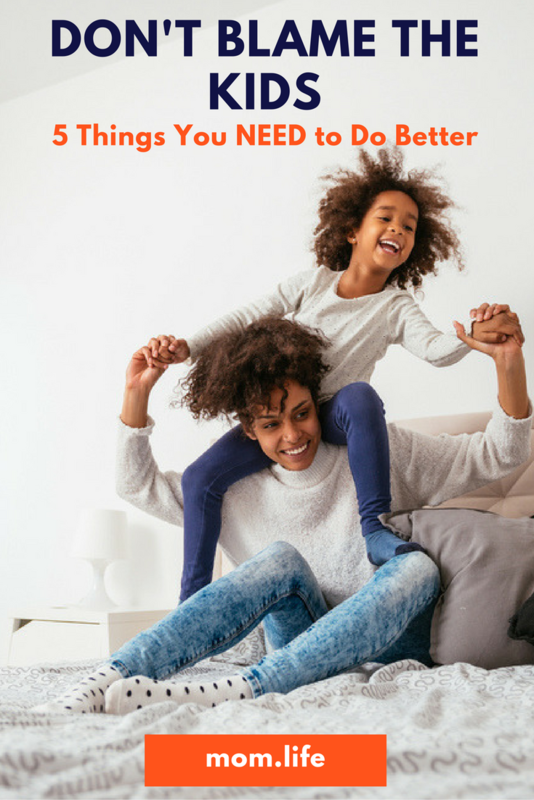 These are the things we think are nonnegotiable and can’t be blamed on the kids anymore! Perspective. It’s all about perspective. No one is saying you have to start training for a half marathon or get a personal trainer. You can find time and space in your ordinary day to fit in fitness. Take the stairs when you go to the pediatrician. If it’s a nice day, park as far as you can from the grocery store and hustle walk to the door. Play tag with the kids. Do baby yoga. Take a break at work and walk around the building. Anything that will make your body move a little works. Your idea of a gourmet snack has probably become fruit snacks and the multi-colored Goldfish your kid insists you buy. But, you know what, you can do better! For yourself and your kid. And we don’t want you to break the bank either. We just want to let you know that if you offer consistently healthy options to your kids they will eat them too which will make your food options healthier by association. Okay, this one is huge, because we don’t know many parents who aren’t living that zombie life, especially in the beginning. What we do know is that sleep is super important to your overall health and sanity. Sleep needs to be a priority. Of course you’re going to get up to care for your child at night and hours upon hours of continuous sleep is unlikely to be had, but when time permits, SLEEP. Especially if you’re starting to suffer mentally or physically because of exhaustion. The dishes can wait, your brain might not be able to. Date night doesn’t have to be elaborate or expensive, it can simply be Netflix and, um, Netflix! But taking time, to reconnect with your partner will make your relationship stronger in a time when everything seems to be testing it. Sacrificing your health for your children is not okay. If you want to be a good mom who is able to care for them beyond the baby years, it is super important that you get medical care when you need it. We’ve all been guilty of pushing an appointment or two back, but if you’re in pain, or ill, or suffering from a toothache that is making you want to drink your weight in bourbon, get to the doctor STAT. You’ll be back in the saddle caring for your babies much more quickly if you do. Need support from other moms in the trenches? Join us in the mom.life app where modern moms are there sharing how they make it happen! Read More: Trying to get your life on track in the new year? Here are 8 things every mom should do in 2017!